Summer is at a close, and as usual I am clinging onto it like a young babe holds onto his mother. 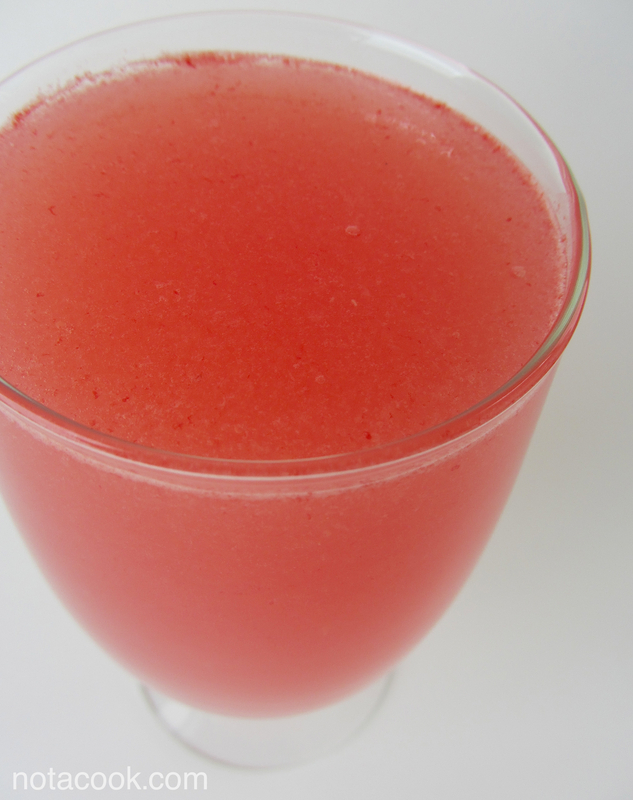 This juice is something I’ve been making all summer long; it is so simple and refreshing. I figured if lemonade was so easy to do, taking that basic concept and applying it to a melon would work too. Turns out, Mexico had already come to that conclusion generations ago… hence all the amazing fresh aqua frescas, or fresh juices, that you see at every taqueria. 1. Puree the watermelon in a blender or food processor. Pass the puree through a strainer into a large bowl, pushing the pulp through. 2. Stir in the water and juice of the lime. Stir in the simple syrup to taste. 3. Refrigerate until ready to serve. Will keep for up to a week, but best if enjoyed within 3 days. 4. Wasn’t that easy? Now go drink!